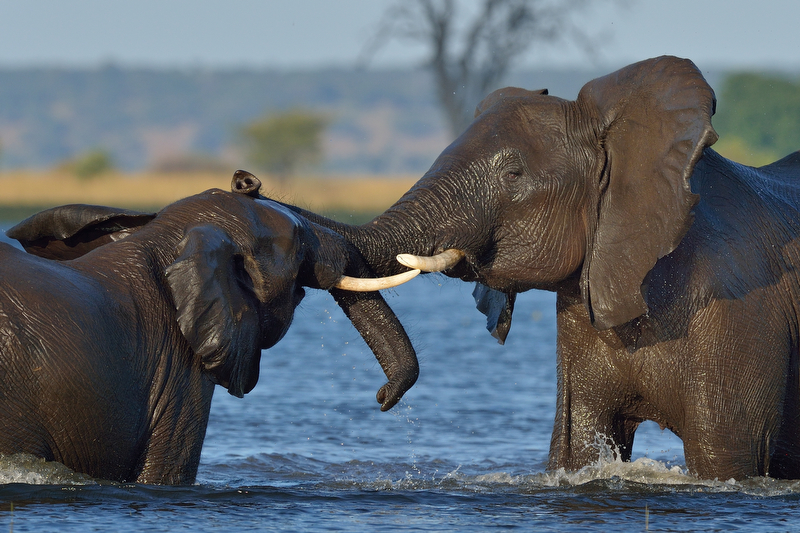 Everyone that has been privileged enough to visit the Chobe National Park near Kasane in Botswana would have experienced the behaviour of the elephants. I recently again joined Coetzer Nature Photography on a photographic safari on their photographic boats on the river. Indeed an enjoyable and rewarding trip, thanks Neal and Hendri!!! 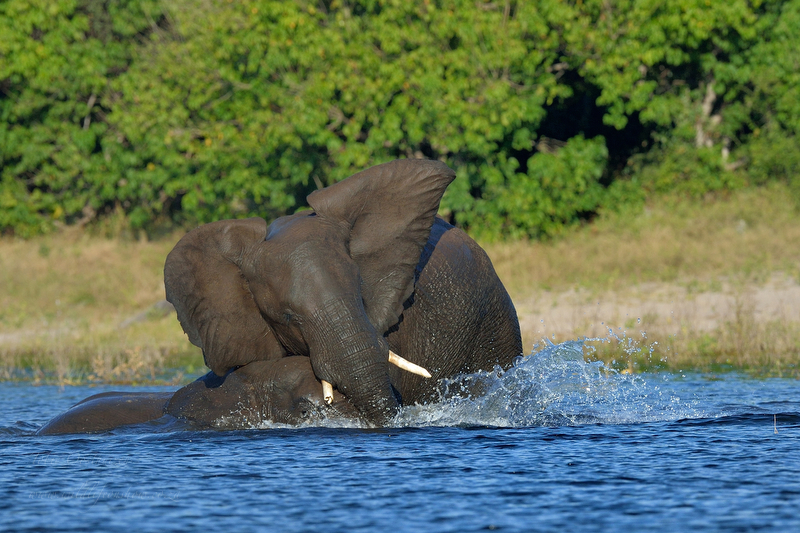 These boats provide an excellent opportunity to get close to the elephants in a safe and responsible manner. 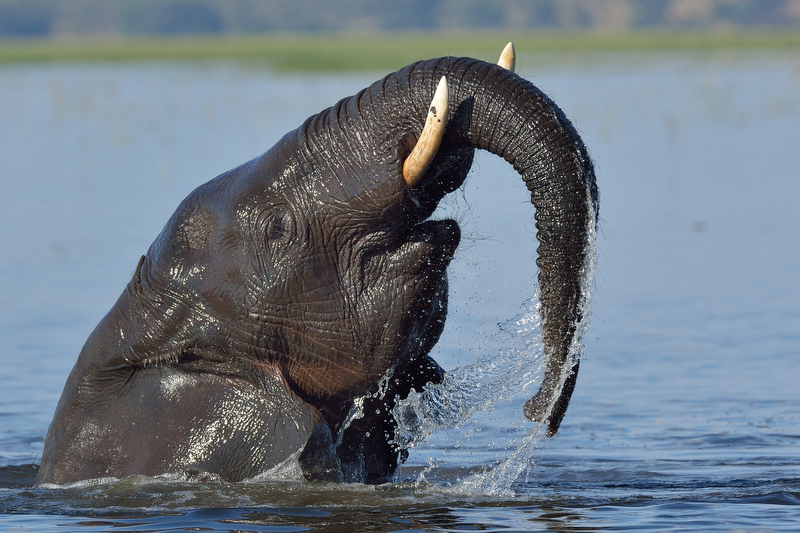 The elephants frequently visit the river to drink, feast on the lush grass growing in the river and just enjoy the water (elephants do love water). 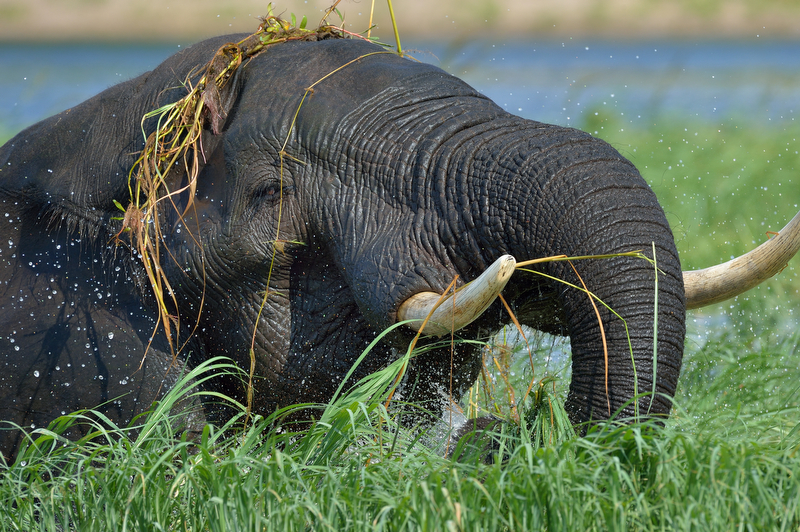 They grab a trunk full of grass, then shake it to rid it of mud after which it would be gulped down. 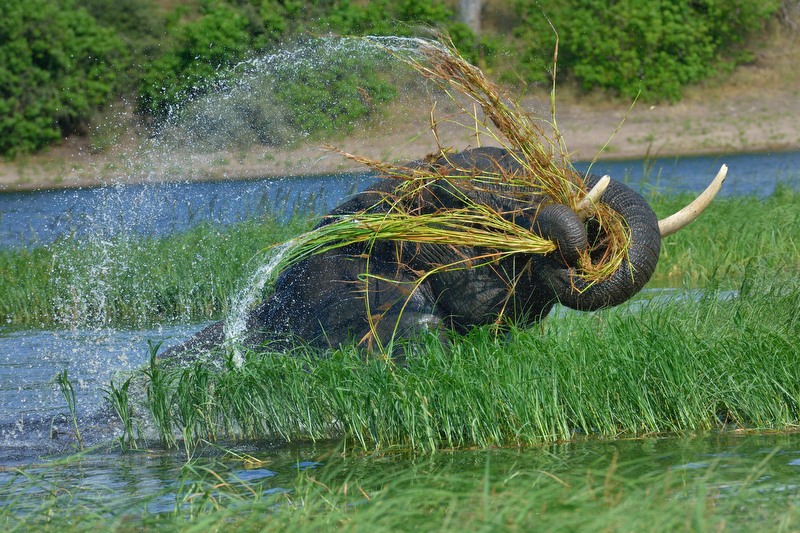 Unfortunately life is not always this easy for the elephants and water levels may affect the availability of the vegetation in and around the river. The elephants then are forced to venture into the surrounding area to feed. 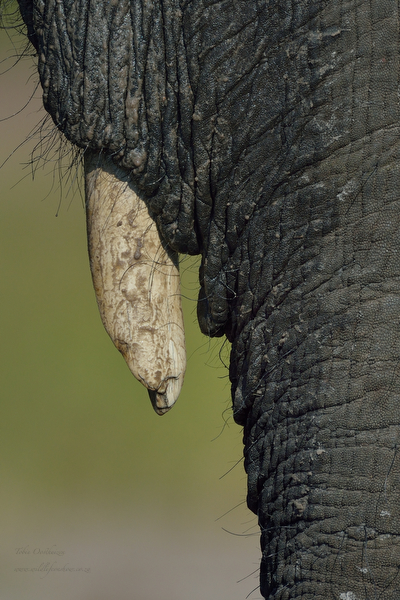 This includes using a tusk (yes it would appear that you do get left and right “tusked” elephants) to dig or obtain food. 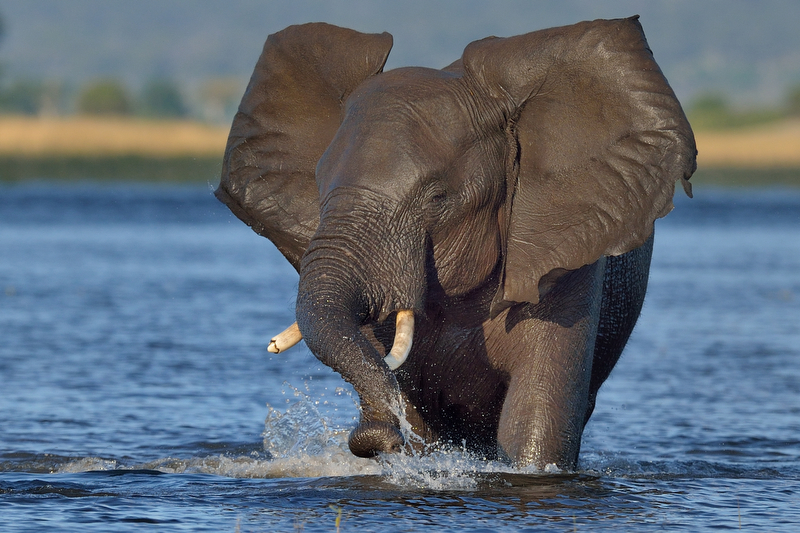 You therefore often see elephants with worn tusks. 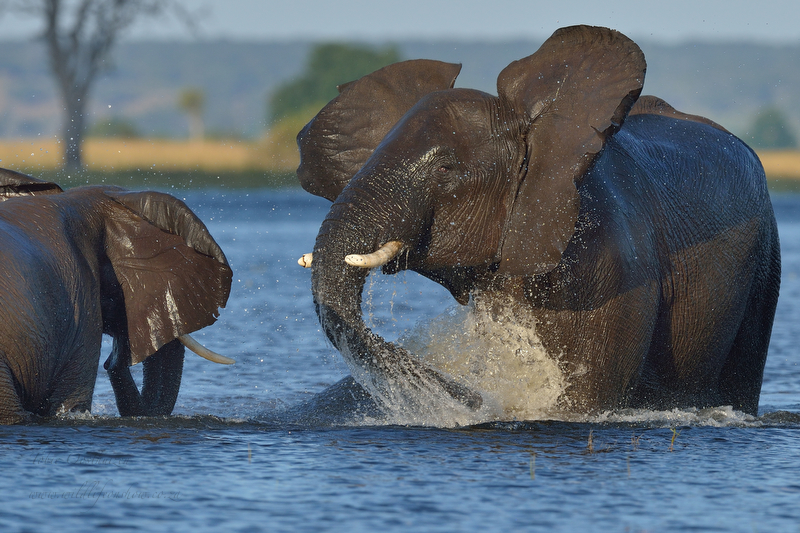 The elephants love the water and would play in it, interact with one another or just spray it all over the place and themselves. They eventually have to leave the river, only to return tomorrow. 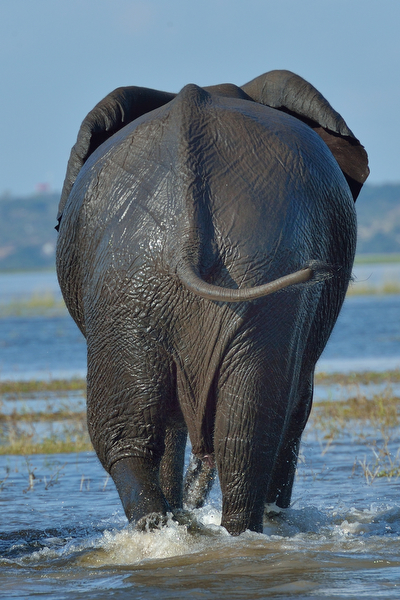 I hope you now know why I am so fascinated by the Chobe elephants.